I have been meaning to get over to The Shepherd & The Knucklehead for the longest time. It wasn’t until two weeks ago that I finally made my voyage to this ever so famous North Jersey beer bar. 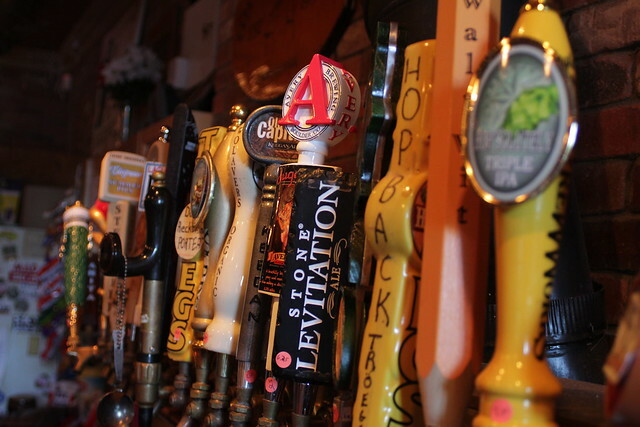 They have been open since 1998 serving up craft beer to locals, students of William Paterson University, and beer geeks a like. 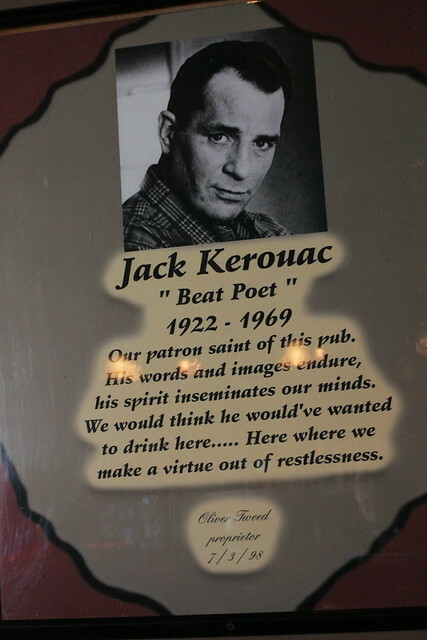 The Shepherd & The Knucklehead is dedicated to the craft beer movement and Jack Kerouac / Beat movement. 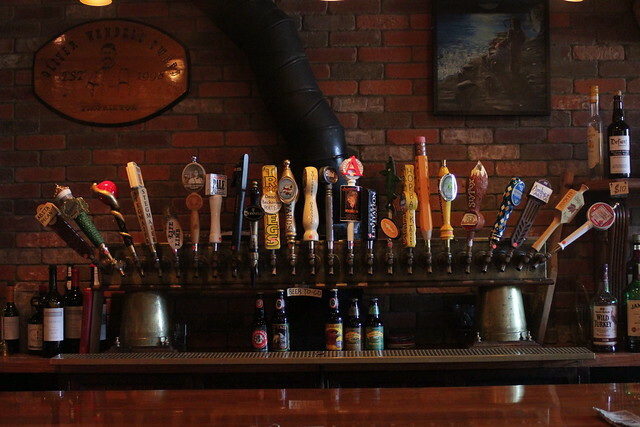 With 26 taps constantly rotating, every time you come to this place, there is always something new to try.Â Also, from time to time, there is cask beer available, butÂ sadly they did not have anything on this day. With varieties from all over the world, you will always find something you like. 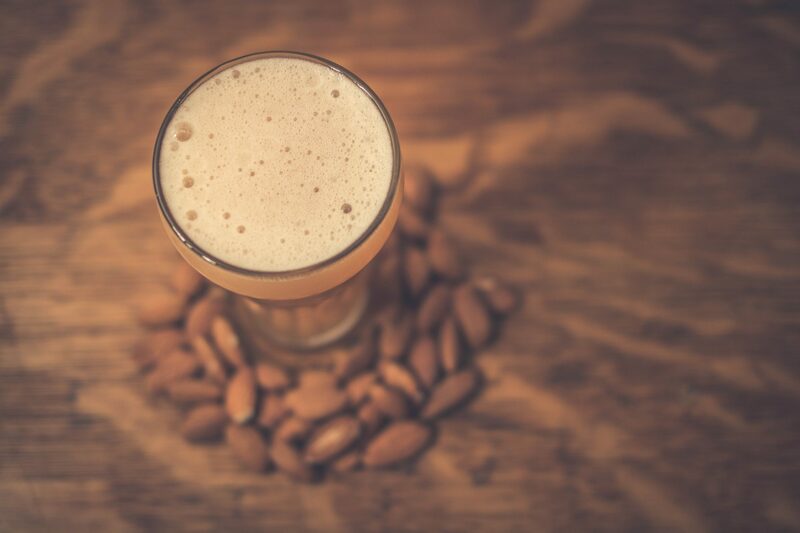 Whether it be Lambics, Belgians, Stouts or IPA’s – Â The Shepherd & The Knucklehead has got you covered. IÂ visited on a Monday, so they had just tapped a whole bunch ofÂ new stuff. A nice spread -Â not too heavy on any styles, like I said, they have something for everyone. 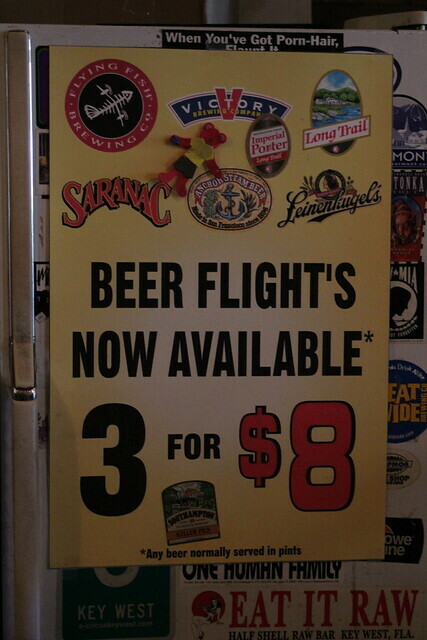 The beers available on tap were nothing short of spectacular. 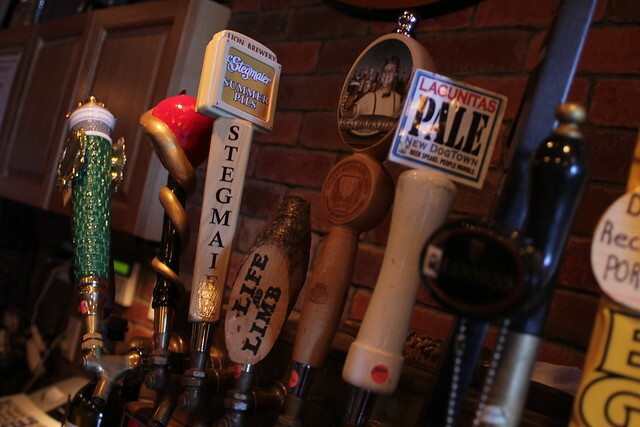 Harpoon Imperial Rye, Sierra Nevada/Dogfish Head collaboration Life and Limb, andÂ Lagunitas Pale Ale just to name a few. Needless to say, I was pretty excited about their offerings. What’s a bar withoutÂ sweet decor? Old license plates and newspaper clipping adorn the walls of The Shepherd. 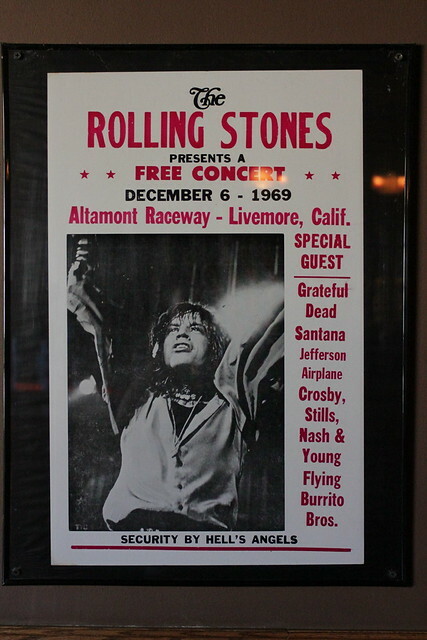 I was particularly fond of this concert bill for The Rolling Stones Altamont Raceway show. 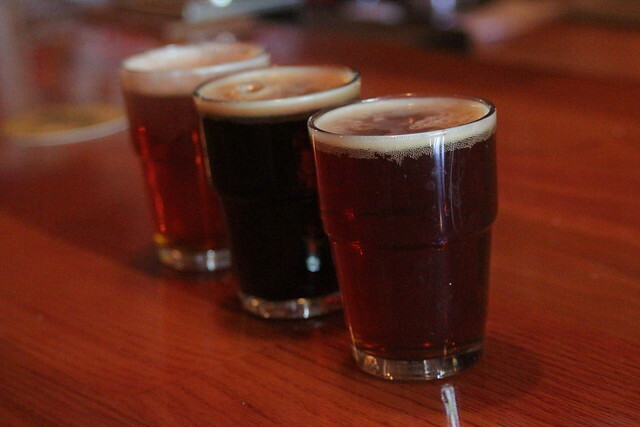 A big thing at any beer bar is flight offerings, allowing the customer to sample a small amount of a few different beers. My buddy Greg set himself up with some Troegs Dead Reckoning, Harpoon Imperial Rye and his other choice escapes me at the moment. 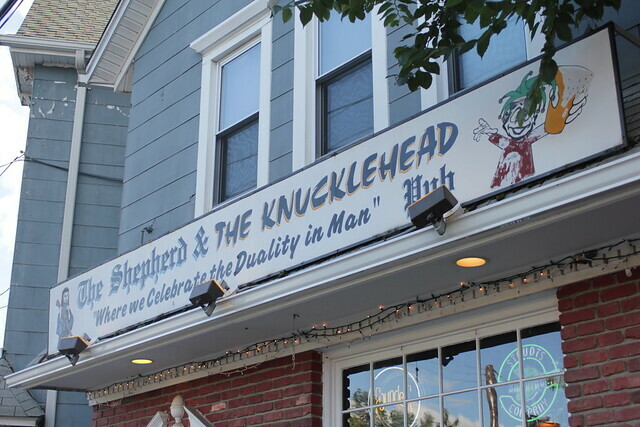 All in all, The Shepherd and The Knucklehead, is a must go to beer bar. They are currently in the process of increasing their number of taps and will be opening a restaurant within the next month or so. 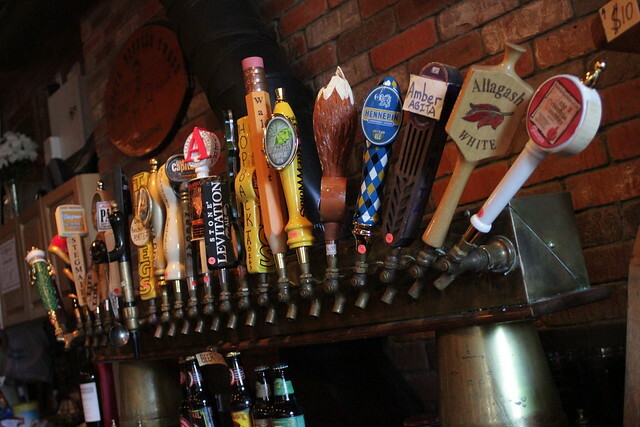 Stay connected with them on Facebook as they are always updating their page,Â keeping you in the know of their latest and greatest kegs being tapped. Expect more from I Drink Good Beer and The Sheperd in the upcoming months!